Bulgarian football player Marian Hristov, who has won 43 caps for his country, has decided to put an end to his career, the midfielder told Bulgarian sports website Gong.bg. Hristov, 34, left German side Wolfsburg on a free transfer in summer after three injury ravaged seasons, which saw him appear only in a handful of games for the club. The midfielder, who has scored six goals for Bulgaria, has featured only intermittently for both club and country since injuring his knee in 2004. 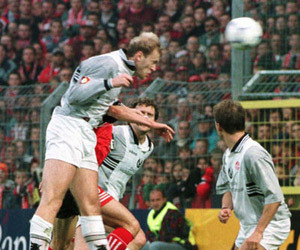 He joined the club after seven years at Kaiserslautern, with whom he won the German title in 1998. "It's over for me. I could have played for some other team in Germany, but I don't feel like moving cities every couple of years. And I didn't want to play just for money," Hristov said. "Quitting football is very difficult and it is still hard for me. Even though you know that it will be over one day, it is never easy to stop playing. "I didn't want to make a big fuss about my decision. I am not the kind of player who loves publicity and column inches, who would call a press conference to announce his retirement. "For at least a year, I'll remain in Braunschweig, but I am thinking of getting some coaching badges, back in Bulgaria. "I don't have any crazy ambition to become a "supercoach". Even if it is in the second or third division, I just want to continue working in football, I will always enjoy that."